Located in the Mojave Desert in the US state of Nevada, Las Vegas is the state's largest city but as best known as 'Sin City' thanks to its reputation as the 'Entertainment Capital of the World'. Home to the famous Las Vegas Strip, the city is famous for its lavish mega hotels and casinos creating an atmosphere of fantasy and where guests can travel around the world in one night thanks to incredible hotels and casinos that offer the atmosphere of New York, Paris, Venice, ancient Egypt and medieval England. A popular holiday destination where you can make or break your dreams, Las Vegas is a hub of gambling, nightlife, shopping, fine dining and entertainment. Equally famous for its shooting galleries and shotgun weddings, there's nowhere else in the world like Vegas, where anything goes. 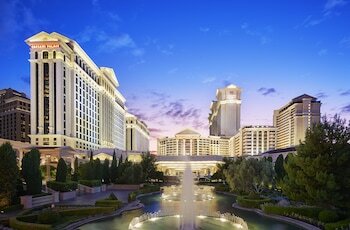 Las Vegas is renowned for its accommodation that is conveniently incorporated with mega casinos, boutique shopping, swanky cocktail bars, entertainment extravaganzas and a range of casual and fine dining venues. Boasting high levels of luxury for a more modest price tag, Las Vegas Strip accommodation offers some amazing onsite facilities including animal habitats, bowling alleys, rollercoaster and amusement rides, Venice-style gondola rides and much more. Some of the most famous Las Vegas accommodation includes hotel-casinos MGM Grand, Flamingo, Caesars Palace, Bellagio, The Luxor and Mandalay Bay. Las Vegas is a city that never sleeps (except maybe when the sun comes up) so whether you're just stopping in for a few days of fun and excess or intend on staying at little longer to try your luck and explore some of the fascinating history and stunning desert landscapes, you won't want to waste a minute. Make the most of your time in Las Vegas with a handy holiday package that allows you to bundle all your holiday needs into one discounted package. Saving you time and money, you can book everything from flights and accommodation to transfers, travel insurance and even tours in one coordinated package. 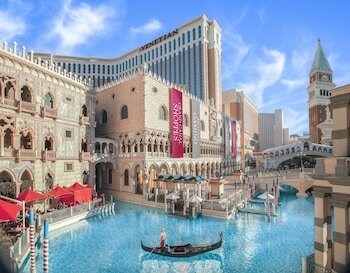 There are a range of Las Vegas holiday packages to choose from or if you prefer, you can customise one for yourself. The Las Vegas Strip is one of the city's most iconic attractions and the over the top hotels and casinos that light up the desert sky offer a huge range of shopping, dining, entertainment and attractions to choose from including sparkling showgirl extravaganzas, mystifying magicians, gondola rides on Venice-style canals, light shows, dancing fountains, rollercoaster and amusement rides, amazing animal habitats and much more. 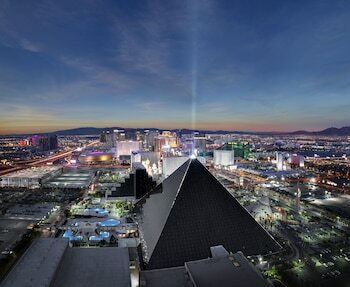 However there's more to Vegas than glittering lights and gambling. Fremont Street offers a look back on the Vegas of old including the iconic neon 'Vegas Vic' cowboy in 'Glitter Gulch' as well as some more modern attractions including a zip line and the amazing curved barrel vault canopy projecting light and sound. The Neon Boneyard is another step back in time, preserving some of Vegas' oldest and most iconic neon signs. Available on both helicopter and bus tours, the Grand Canyon is also one of Las Vegas' most popular natural attractions and one of the seven wonders of the world, a must see attraction on any visit to Las Vegas. Las Vegas' famous strip is actually not located within the city limits of Vegas with the majority of strip actually situated within Clark County. 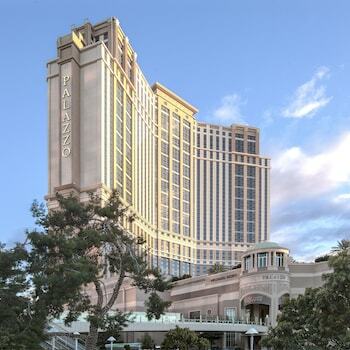 18 of the world's top 25 hotels are located in Las Vegas. The lights from the Las Vegas strip can been from space and is the brightest place on the planet. The iconic 'Welcome to Las Vegas' sign was created by Betty Willis in 1959. Vegas Vic, the iconic neon cowboy, is the largest mechanical neon sign in the world and is located in Fremont Street. Famous mobster Bugsy Siegel named his casino 'Flamingo' after his showgirl girlfriend's long legs. More than 150 couples are married in Las Vegas daily.